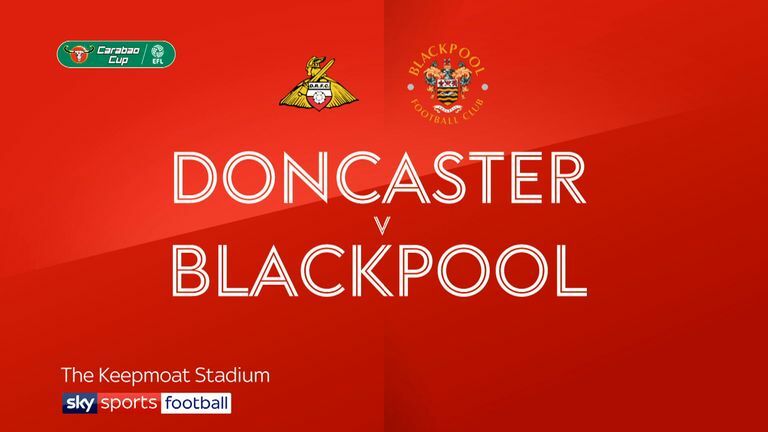 Blackpool came from behind to beat Doncaster 2-1 and reach the third round of the Carabao Cup for the first time in nine years. 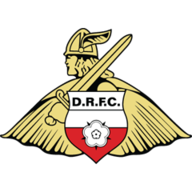 Cancelling out Alfie May's opener, goals from Michael Nottingham and Harry Pritchard ensured Blackpool continued to find Doncaster a happy hunting ground, having now not suffered defeat in the town in 10 visits. It was the hosts who started the brighter and they should have taken the lead when Paul Taylor raced onto a pass but fired his first-time shot at Mark Howard. And Rovers took a deserved lead after 23 minutes when May rifled into the top corner from 10 yards following a corner. But Blackpool pushed back into the game and levelled after 38 minutes when Nottingham flicked in from close range. The visitors came out of the blocks well in the second half, with John O'Sullivan curling a loose ball narrowly wide. 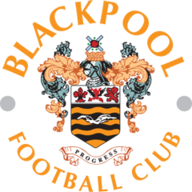 A fine side-foot finish from Pritchard after a long throw was flicked into his path then gave Blackpool the lead in the 60th minute. Blackpool looked the more likely to add to their advantage, with Armand Gnanduillet and Jordan Thompson going close.